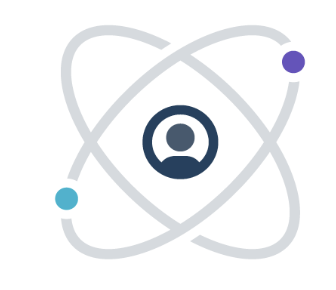 Postman is the only complete API development environment, used by nearly five million developers and more than 100,000 companies worldwide. What is Amazon API Gateway? 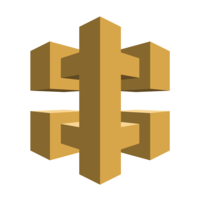 Amazon API Gateway handles all the tasks involved in accepting and processing up to hundreds of thousands of concurrent API calls, including traffic management, authorization and access control, monitoring, and API version management. Packaged as a Chrome extension and accessible from any modern web browser, Restlet Studio instantly provides to any developer powerful API crafting capabilities. Through an intuitive interface, developers can visually define all the elements of a web API, and automatically generate the client SDK and server skeleton of their API. Why do developers choose Postman? Why do you like Postman? Why do developers choose Amazon API Gateway? Why do you like Amazon API Gateway? Why do developers choose Restlet Studio? Why do you like Restlet Studio? What are the cons of using Postman? What are the cons of using Amazon API Gateway? Downsides of Amazon API Gateway? What are the cons of using Restlet Studio? How much does Postman cost? How much does Amazon API Gateway cost? How much does Restlet Studio cost? What companies use Amazon API Gateway? What companies use Restlet Studio? What tools integrate with Postman? What tools integrate with Amazon API Gateway? What are some alternatives to Postman, Amazon API Gateway, and Restlet Studio? If you're building an API service, this Chrome extension is a must-have. It'll let you ping your endpoints using a nice clean UI that's built right into Chrome. You can also share your previous requests - a simple way to 'document' your API if you're short on time. If someone is having trouble shipping data to the Knowtify API, I almost always share my postman collection. Working through the issue from there is typically pretty easy. 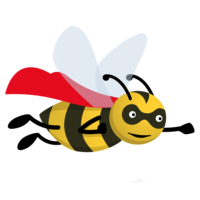 Not much to say, it's the best free tool out there for testing APIs. Get it. API Gateway in conjunction with Lambda has allowed us to become 'serverless'. We have a number of API endpoints that range from simple CRUD operations, through to triggering chains of complex background jobs. Like Lambda, this service has released us from getting bogged down in infrastructure management, freeing up huge amounts of time to focus on solving business problems. We use Postman in conjunction with our universal REST-API "JCVortex". Postman makes testing edge-cases hassle-free and lets testing look easy. Postman was also a great help to explore the Mojang-API, that we are dependent on, because it is the central repository for minecraft-account-data. I use it for testing my Web Api. It's a easy tool for interacting with a RESTFul API and provides great tools for organizing requests. The Newman tool is great for allowing your tests to run in a CI/CD pipeline. Used to test API endpoints and monitor API which also acts as an API heartbeat to keep functions alive in Google Cloud in order to avoid timeout responses to Slack. We use Postman for all our API testing. Postman is invaluable. We would like to have a team licence so that we can use shared work spaces and test collections. It provides me with POST endpoints; I don't run servers and some third-party services need to POST data to my application. Triggers the Lambda function from a GitHub WebHook push into https://github.com/smyleeface/smylee_hugo_site.